In honor of this weekend’s game between No. 6 Texas A&M and No. 1 Alabama, I am posting some random facts that connect the two schools together. Plus, I made a similar post before the A&M vs. Tennessee game, and we saw how that ended up. One of the most obvious connections between Texas A&M and Alabama is that of famed Alabama coach Paul “Bear” Bryant who was the head football coach at Texas A&M from 1954 to 1957. Bryant attended Alabama where he played football from 1933 to 1935. Bryant’s 1954 season was his first at A&M. He started the ’54 season with a training camp in Junction, Texas. The camp was extremely tough and the players from that camp were given the nickname of the “Junction Boys.” Bryant’s first A&M squad finished 1-9 in 1954, while his 1956 squad won the Southwest Conference (SWC) Championship. In 1957, Texas A&M running back John David Crow won the Heisman Trophy and became the first and only player to win the award while playing for coach Bryant. John David Crow would end up coaching at Alabama from 1969 to 1971 under Bear Bryant before returning to A&M as an athletic director. At the end of the 1957 season, Bryant left A&M to become the head coach at Alabama. Bryant’s final game at A&M was a loss in the 1957 Gator Bowl to Tennessee. A&M and Alabama first met on the gridiron at the end of the 1941 season. The Aggies were SWC champions but lost to Alabama, 29-21 in the Cotton Bowl. The Aggies and Crimson Tide would not play again until the January 1968 Cotton Bowl (at the end of the 1967 season). The Aggies were SWC champions again and were able to even the series with Alabama at 1-1. The 1968 Cotton Bowl featured a significant connection between the schools, other than the Aggie victory. 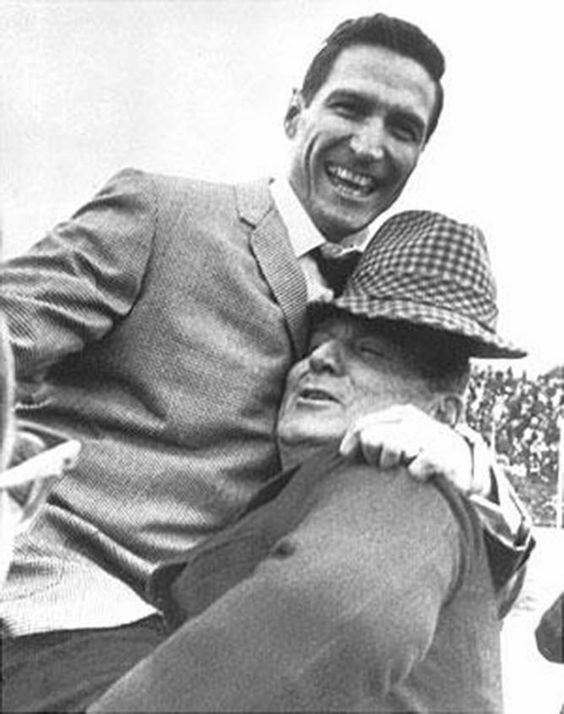 Bear Bryant was the head coach of Alabama, while Gene Stallings was the head coach of A&M. Stallings had been a player at A&M under coach Bryant and was one of the “Junction Boys.” After playing football at A&M, Stallings had been a defensive assistant under Bryant at Alabama from 1958-1964. However, in 1965 Stallings returned to A&M as head coach of the Aggies, where he eventually defeated his mentor in the 1968 Cotton Bowl. At the conclusion of the game, Stallings’ Aggies had defeated Bryant’s Crimson Tide 20-16. The coaches met at mid-field, and in what can be described as a truly proud moment, Bryant hoisted Stallings onto his shoulder and carried him off the field. Stallings later returned to Alabama as head coach in 1990 and won the first SEC championship game (and thus an SEC championship), as well as a National Championship, in 1992. 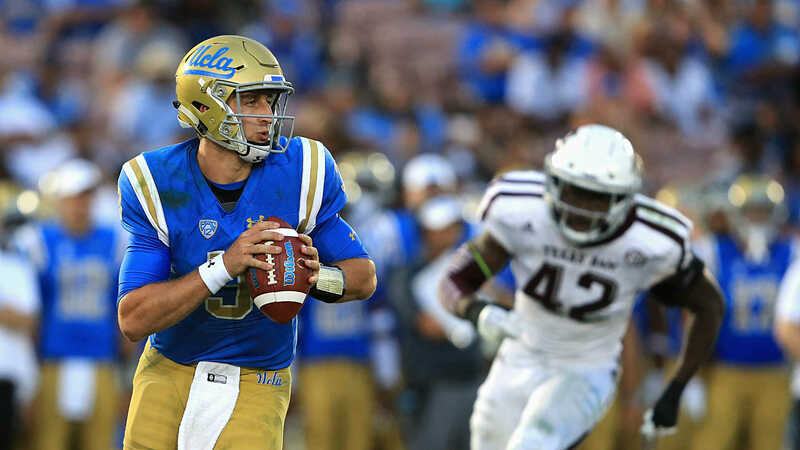 In doing so, Stallings became the second member of Texas A&M’s Association of Former Students to win a conference and national title at a school that is currently a member of the Southeastern Conference (SEC) (Robert Neyland was the first at Tennessee). In honor of this weekend’s game between #8 Texas A&M and #9 Tennessee, I am posting some random facts that connect the two schools together (regardless of how much of a stretch some of these facts may be). I should start by mentioning that General Robert Reese Neyland Jr. (famed Tennessee coach and stadium namesake) is an Aggie and is listed as a member of the Association of Former Students. Neyland played football at Texas A&M for head coach Charlie Moran (who played on the 1897 Tennessee football team). According to the 1911 Longhorn (Texas A&M yearbook) Neyland was a member of the 1910-1911 Texas Aggie football squad and was listed among the freshman class. On what appears to be page 222 (the page is not actually numbered) of the yearbook, in the last paragraph, it gives credit to the substitutes “for the important part they played in producing the champions of Texas.” Among the substitutes mentioned is “Neyland.” The 1910 Texas A&M football team was known (at the time) as the Champions of Texas due to the fact that they went 8-1, defeating every Texas team they played (with their only loss being to Arkansas). Neyland left A&M after receiving an appointment to West Point in 1912. He was appointed by Congressman Sam Rayburn, and graduated from West Point in 1916. Neyland won a national title while playing on the 1914 Army football team. Later, while working as an assistant football coach at West Point in the early 1920’s, Neyland got help from his former A&M football coach Charlie Moran. Moran (a former Tennessee football player) helped Gen. Neyland land his next coaching job which happened to be at Tennessee. In 1939, Neyland was the head coach of the Vols and Tennessee went undefeated and un-scored upon in the regular season. In fact, Tennessee outscored their opposition 212-0. I believe that Tennessee is the last major college football program to shut out every regular season opponent. 1939 was also the year that Texas A&M won the AP National Title. 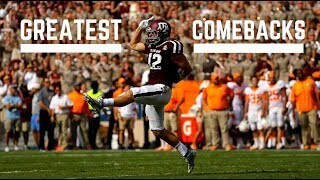 A&M won their title despite Tennessee’s accomplishment of shutting out every opponent that very same season. However, it may be the Tennessee Volunteers who got the last laugh in 1939. The Vols finished the regular season (pre-Bowl game) ranked #2 (behind #1 A&M). 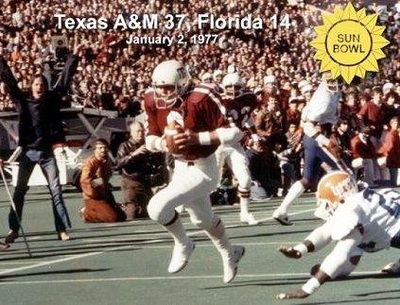 While #1 A&M defeated #5 Tulane in the Sugar Bowl, the #2 Vols played and lost to #3 USC in the Rose Bowl. This loss to USC prompted the Dickinson Ranking System to award their 1939 national title to USC instead of A&M, and thus technically A&M “shares” the 1939 title with USC (thanks to Tennessee). Like Tennessee’s 1939 team, Texas A&M was also undefeated and un-scored upon in 1917 and 1919. The Aggie head coach during those seasons was Dana X. Bible (a Tennessee native). Bible was also the coach at A&M in 1921-1922 when the Aggies defeated Centre College. Centre’s head coach at that time was none other than Charlie Moran.